With the NCAA Tournament coming to an end, many players have taken this time to either help or hurt their draft stock. The following players should be the top picks in this upcoming draft, and here’s why. Okafor is the best player in college basketball in terms of skill level. He has it all: big, strong, good footwork, and good vision. As a product of Duke, he’s expected to already have a good knowledge of the game. Okafor has the best low post game out of all the players on this list. Throughout the tournament he’s commanded double teams and has been one of the keys to Duke’s success. There is no doubt that he should be the #1 pick in this upcoming draft. 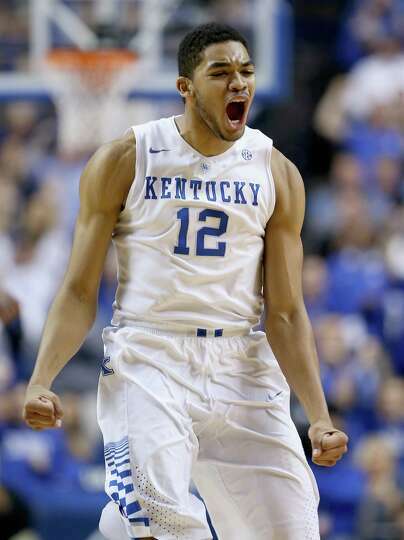 Towns is simply a beast. He’s big, great at shot blocking, and can run the floor. One thing I’ve noticed is that he keeps a calm demeanour on the court. On offense, he’s a lot less nimble than Okafor. Towns prefers to just bully his defender, which works in college, but may not work as well in the pros. Other than that, Towns is obviously the second best player in the draft. Russell is much different than many of the players in his class. He’s one guard that possesses great fundamentals. This man is a pure scorer. He shoots many shots off the dribble, and still manages to shoot 45% from the field. He is also a great passer, and Ohio State prefers to use him in pick and roll situations. I believe Russell has the ability to make the biggest impact to whatever team he goes to because of his versatility. He’s 6’5 with a great jump shot, and great passing. A perfect fit for a team needing good guards. Mudiay preferred to play overseas rather than go to SMU and play college ball. Therefore, many are unsure of how good the competition was in China compared to the domestic athletes. Based on footage and scouting reports, he’s very athletic and a great open court player, but struggles with the half court game. However, he can draw fouls easily and get to the rim at will. His size is a great asset at 6’5 and will be much bigger than other guards. Mudiay is a wildcard, and a gamble at this high of a pick, but the payoff could be huge. Justise Winslow (SF)- Winslow has came up and been playing well throughout the final stretch of the season. Although Okafor is the big name for Duke, Winslow has been a closer and performing just as well. He will take the opposing teams best player right out of the game, and if he can develop that jump shot, then he’ll be a huge asset to whichever team he goes to. Stein is a full 7’2 with long arms, and a slender frame. He’s a great defender, and possibly the most versatile defender in this upcoming draft. He’s one of the reasons Kentucky switched on all picks because of his ability to play good defense on guards. He has quick feet, and long arms to keep in passing lanes. His problem comes on offense with much of his points coming on alley-oops, or putbacks. Think of him as a younger Tyson Chandler and a solid pickup for any team. Johnson is a physical monster. At 6’8 and 243 lbs, he’s only slightly lighter than LeBron James. He’s very strong and fast, and is a nightmare to stop in the fast break. He has the ability to either drive straight into the defenders chest, or simply go around them. His downfall will be his jump shooting. His shot is awful and he’ll really need to develop it to become a better player. Johnson is a sleeper pick, and will need to put in a lot of work in the offseason to help whichever team he goes to. Kaminsky has been elevating his draft stock as of late through his great play in the late rounds of the tournament. He’s a threat on offense due to his great outside shooting ability. Teams can get creative and set plays where he’ll set a pick, then come off of another pick for a open jumper. Much like Wisconsin does now. Kaminsky is also a decent defender, preferring to be physical with opposing big men. If teams use him much like Pau Gasol and Dirk, then he’ll be a great pickup. 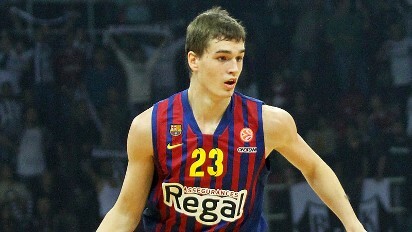 At 6’8, Hezonja has the size to be a tough matchup for many guards. Especially the smaller guards out West. He has great range, and simply rises up above defenders to hit tough shots. He’ll need to work on his shot selection to be successful in the NBA. He’s referred to as a ball hog, and if that’s the case, then NBA coaches can get him out of that mentality. Playing in Europe, Hezonja hasn’t gone up against the athleticism that he’ll play in the NBA; defense will be a problem for him. Teams in need of a shooter or scorer should make this pick if he’s still on the board. Porzingis is yet another 7’0 international player with a smooth jumpshot. These types of players are hard to assess due to the level of competition they play overseas. However, it is known that he’ll have a strong offensive game. He’s frail for his size, so his opponents can simply get physical with him and throw him off. This upcoming draft is loaded with young talent that’s yet to truly be displayed. Leave your thoughts below. 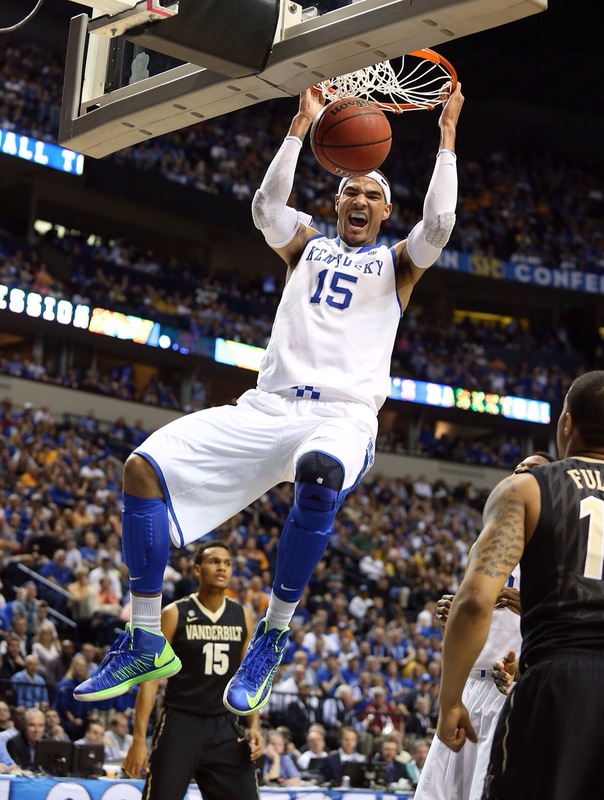 Jahlil Okafor or Willie Cauley-Stein? Who Goes First? With March Madness upon us, some serious talent will be displayed in the upcoming tournament. Among the powerhouses of Duke, Kentucky, Virginia, and Villanova, there are two players that will most likely be the top players in this upcoming NBA draft. Those two are 6’10 Jahlil Okafor, and 7’0 Willie Cauley-Stein. 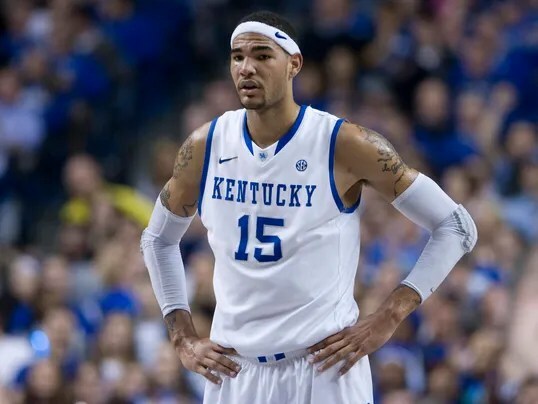 In my opinion, Willie Cauley-Stein since had the opportunity to play with a loaded Kentucky team, so we really don’t know truly how good he is by himself. So far this season, he’s averaged 8.8 ppg, 6.4 rpg, and 1.6 bpg. However, my personal favorite, Karl-Anthony Towns shares the court with him, so those numbers aren’t reflective of his skill. Stein is a great defender, and possibly the best in this upcoming draft. He’s a full 7-footer that’s a great shot blocker. He rarely gets into foul trouble and is a very flexible defender. He’s usually the front man on Kentucky press defenses and causes difficulty in the passing lanes. He has no difficulty switching on pick and rolls, and has quick enough feet to stay in front of some guards. However, Stein’s problems come on offense. He’s great at running the floor and catching lobs on the pick and roll or fast breaks, but he’s not a threat on the low post. He’ll need to work on his low post game, and also his midrange jumper. He’s gone 10/31 on jumpers outside the paint. The NBA’s big men have greatly been improving their jump shooting in the last few years, and it’s something that teams look for. I’d compare him to a more dedicated Dwight Howard. Expect Stein to go to a team in need of a defensive stopper and rebounder. Most likely the Knicks or Magic..
Jahlil Okafor is the most polished player coming into this draft. He’s not as athletic or as good of a defender, but he’s a much better offensive player. Playing under Coach K, he’ll definitely have a great basketball IQ and will come out pro ready. He’s great at passing out of double teams to shooters, and will punish his defender if he’s in 1 on 1 (as evidenced vs. North Carolina). He averages 17.8 ppg, 9.4 rpg, and 1.4 bpg. The offense flows through him and he determines Duke’s success or failure. His footwork is great for a freshman, and Coach K has said that he should be the #1 pick in this coming draft. Okafor’s biggest downfall will most likely be his lack of athleticism. He has problems chasing down loose balls, and unlike Stein, can’t switch on pick and rolls. He’s also not really a rim protector considering how little lift he has. His jumpshot is better than Stein’s, but not by much. I’d still take Okafor over Stein considering how great his low post game is. His NBA comparison is more of an Al Jefferson type. His best fit would be the Lakers or Timberwolves. Is Going Pro Worth It? Disclaimer: This article is written as food for thought, and not meant to shoot down anyone’s dreams. However, please keep an open mind when reading. Athletes across the country work hard in perfecting their sport of choice, and many are forced to partake in sports because it’s their only chance of getting out of the tough lives they live. However, some athletes play sports to follow a false dream of making it big and making “tons of money.” I’ll break down these true statistics, so that a reader could possibly change their mind and do something different where there’s a near 100% chance of succeeding. Let’s start with the most popular sport in the United States, football. As of 2014, there were 1,122,000 high school football players across the country. 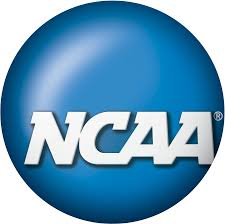 During the 2014 season, there were 90,136 NCAA football players across all divisions (D1, D2, D3, JuCo, etc.). Using these numbers, you can hypothesize that 8% of high school football players go on to play in college. We can be lenient with these numbers considering that many athletes play for fun, but given all adjustments, the percentage never reaches above 10%. For these college players to go pro, those chances dip to 1%. Yes 1%. So by using basic statistics, the chances of going all the way from high school to the NFL is .08%, or 8 out of 1000 players. Pretty low odds considering so many high schoolers have these outlandish dreams of going pro. However, the worst has yet to come. As hard as it may believe, but this isn’t even the hardest sport to make it big in. Next, we’ll break down the statistics for the internationally growing sport of basketball. With 541,000 estimated high school basketball players and only 32,190 college basketball players, 6% of players continue their career to that second level. However, here’s the difference between football and basketball. There’s an ever-growing number of international players coming to the United States and taking places on many teams. There aren’t any exact numbers for the amount of players, but it should still be understood that the competition is growing; which is a good thing for the sport. Now, to get to the NBA it’s near impossible. With only 439 total NBA players, the percent chances of getting to the NBA from college is 1.3%. But one key fact is that most of those roster spots are taken. There’s an average of 5 spots per team, so there’s truly 150 spots. This takes the percent of going from college to the NBA down to .4%. Once again, using statistics the chance of going from high school to the NBA is .02%. To make that easier to grasp, only 2 out of 1000 players will have a CHANCE of making it. There are some other underlying issues hurting athletes as a whole. To be honest, too many athletes put all their fruit into one basket. So many players get the great opportunity of getting to college to play the sport they love, but neglect their future. A whopping 51% of college athletes major in General Studies. Which in the real world equates to nothing. So, if a player doesn’t make it pro, then what are they supposed to do? Well the answer is simple. Nothing. There’s nothing they can do because their time in college was wasted going after the pros, rather than getting a good major and preparing for the future. Here’s an idea. Many of these athletes have great personalities, are fun to be around and enjoy sports, so why not major in journalism. As proven by the late Stuart Scott, players and fans alike love when sports journalists have a little “swagger” which makes the typical interview entertaining. I personally am tired of seeing the same old personalities on many sport broadcasts (especially ESPN and FOX), so why not get some more relatable faces on the air and help some young kids out. Just an idea. College football and men’s college basketball are two of the most highly anticipated and most watched things on earth. Everyone loves tuning in to CBS, ESPN, NBC and other major TV networks on Saturday’s during the autumn season to watch some college football. Fans all across the world love filling out NCAA tournament brackets for men’s basketball during March Madness. Those two sports are thrilling, breath-taking and epic at the college level just as much as the pros. Those two sports are also anchors in providing the NCAA with money. Endorsements, Television deals and a lot of other money-making opportunities wouldn’t come to fruition if it weren’t for the Division I athletes. 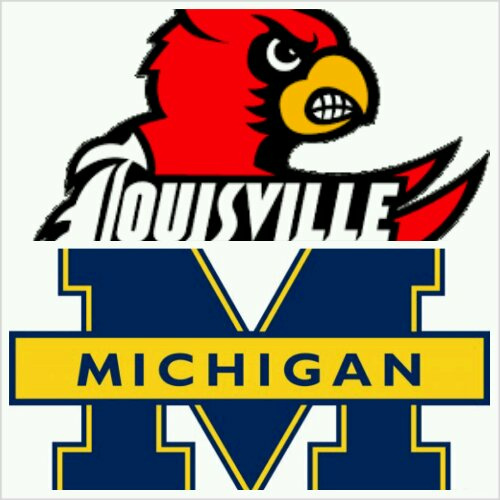 Because of their contribution to the schools’ funds and the NCAA as a whole, college athletes of these two sports, basketball and football should get paid. Outside of men’s basketball, football and women’s basketball to an extent the NCAA doesn’t bring in much revenue from the other sports such as softball, baseball, volleyball and etc. Football and basketball are the sole money makers. As reported by Chris Smith from Forbes, CBS and Turner Broadcasting made over $1 billion off of the basketball games for both the men and women alone. As a whole the NCAA makes at least $6 billion a year. The NCAA then spreads the money amongst the Division l schools, sports sponsorships, and a few more things that include grants for the schools as well as student assistance funds. Once colleges receive the new-found money or extra money, whichever the case may be, colleges start looking for players to give scholarships to and the trend continues. Most, if not all athletic scholarships cover the player’s school billings such as books, classes, food and housing. A lot of people figure that this diligence is enough for college athletes and should be considered as their pay. But even with the scholarship and all of the different facets it covers college athletes still deserve more because of the risk they’re taking and the exposure they provide schools with. For example, the three biggest names last year in college basketball were Julius Randle (Kentucky,) Andrew Wiggins (Kansas,) and Jabari Parker (Duke). Each of these players were highly sought after because of their rank amongst others in their class as well as the guys who were already playing at the college level. Having been highly profiled athletes, each of these guys brought major attention to their schools which equated in getting a lot of nationally televised games, commercials and other big marketing deals. Without playing in a single game for their respective schools each player still managed to bring in money. Once the season actually rolled around tons of fans bought tickets. Why, you may ask, because big names sell. College basketball is like any other business; if you have you have the best product you are guaranteed to sell. 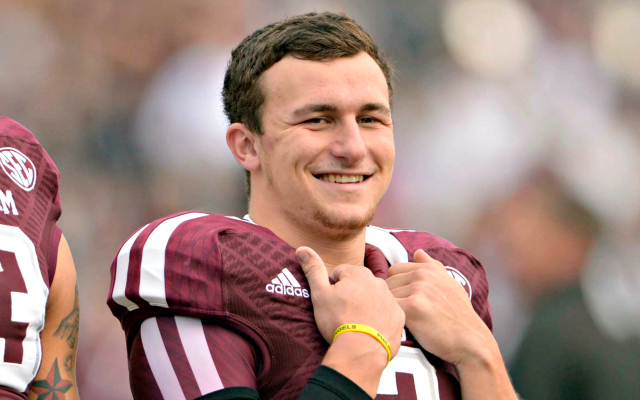 On the football side of the equation Texas A&M’s Johnny Manziel, was box office to the max. A&M got extra media attention because of him, more national games and even sold more tickets. They even sold that praised him. If it hadn’t been for Manziel, A&M would not be in the position they are in now. Manziel’s impact on A&M was ridiculous. Shirts, jerseys, cups and other fan items were all being bought because of Manziel and his brand. Manziel was A&M’s product. Having Manziel on board also helped with their move from the Big 12 to the SEC. Along with bringing in money, college athletes also put their lives at risk. In basketball the injuries are far less gruesome but can still be detrimental; in football concussions happen, neck injuries happen and plethora of other serious injuries can happen in this dangerous yet fun game. Aside from injuries the players also get held to a higher standard. One wrong slip up and they could get their scholarship taken away like professionals could get their contract voided. Since they’re getting held to such a high standard why aren’t they getting paid like professionals do? College ball isn’t an easy task either. It’s not like high-school, and how you could just come in and just play for fun or play whenever you like. In college you actually have to work and perform. Especially if given a scholarship. But sometimes working hard can be a bit of a drag especially if you aren’t receiving anything in return. The scholarship helps with a lot of different things but it doesn’t necessarily benefit the players in other aspects of life such as players who happen to be parents or guardians for their families back at home. As a matter of fact there are a lot of college athletes who happen to be parents and could use a few extra dollars here and there to help support their children. Others, who may not have that same need could quite possibly use a few dollars to help them get from place to place. Everyone’s needs are different, but the money earned from the hard work that’s being put in on the field or court could help players out tremendously. Paying the college athletes would also minimize the problem athletes have in obtaining illegal money and other, benefits from agents, or persons who shouldn’t be involved with them; that would minimize a lot of the suspensions that happen. All in all, college athletes should get paid. College sports is nothing but a business and like all businesses employees should be paid. The players deserve it because of the hard work and effort they put into being athletes as well as students and in some cases parents. With billions of dollars being made off of these athletes through various marketing outlets, the NCAA would be smart to give out a portion to the athletes to help minimize some of the problems that exist now. The NCAA is after all, a model of the professional leagues. If they (pros) can pay the players the NCAA can too. After all they already have their version of a contract, plus it’s the right thing to do. Why be selfish with the guys who are the cause for money coming in? Facebook, Twitter, Instagram, Tumblr and Myspace are all social networks that athletes use to catch up with friends and family, or vent frustration. And then you have the few athletes that use it as a way to get scholarships. Having said that, social media has become a huge problem for athletes. The professionals, college level and high school level have all had athletes that got in trouble because of what they posted on social networks. When pro athletes tweet negatively or post disturbing images on any social networking site, ESPN and other places that represent athletes jump all over it. Former NBA player Gilbert Arenas got suspended for using his fingers as pistols in photos and tweeting about an incident that involved him and one of his teammates having a gun fight. As a result the NBA investigated what was going on with him and ultimately suspended him from the league. In cases like these, ESPN and other sports networks bash the athletes and have different articles and segments regarding their actions and social media in general. The NFL, NBA and other professional sports leagues have a rule stating that players can’t tweet 45 minutes before a game, during a game or during media sessions. And if an athlete breaks that rule they get fined by their respective league. At the college level, social networking can still be detrimental to the athletes’ potential professional career. Every top notch college athlete has coaches, scouts and businesses watching them. For reasons like this, most college athletic programs have rules against the use of social media. Back in 2009, ex-Texas Tech coach Mike Leach banned social media after one of his players went to Twitter to voice his displeasure about something the coach did. It caused a lot of distractions and put the whole organization under the spotlight. Most programs think that athletes get enough attention as it is and that they shouldn’t be trying to garner more. Even at the high school level there is a restraint on what you can and can’t say. In the past couple of years there have been cases where high school athletes lose their scholarships because of how they conduct themselves on social media. In 2012, high school star Yuri Wright, from Don Bosco Prep in Ramsey N.J. , got expelled from school and lost his scholarship because of sexual and racist tweets. This is a prime example of why high school athletes must pay attention to what they say or do on social media. Social media has become a part of athletes’ everyday lives. Having said that, all athletes should be aware of all the negative things social networking can do. All it takes is one careless moment where an athlete does or posts something inappropriate online. That one moment could be the deciding factor in whether or not an athletic career continues going or come to an abrupt stop.